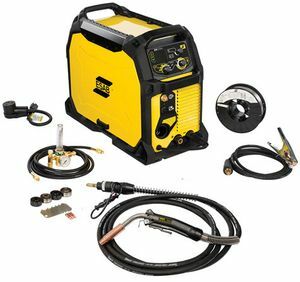 The ESAB® Rebel™ EM 235ic is a 250 amp MIG welder that operates off of standard household 120 volt OR 230 volt input power and can weld up to 1/2 inch plate. It weighs only 53 pounds and comes complete with everything you need to start MIG welding, except the shielding gas. The Rebel 235ic EM accepts 4 inch (2 pound), 8 inch (10 pound) and 12 inch (33 pound) spools of MIG welding wire. It is also spool gun ready with direct plug receptacle for the OPTIONAL Tweco® SG200 spool gun. Rebel's advanced, welder-inspired design sets it apart from all other MIG welders on the market. ESAB starts with sMIG technology that actually adapts the MIG arc characteristics to your unique welding style. Should you change your technique while welding, sMIG will automatically adjust on the fly. The Rebel EM 235ic comes complete with ESAB's 3 year warranty and 100 days, 100% satisfaction guarantee. UNMATCHED PORTABILITY � weighing in at 53 lbs. (24 kg) with dual voltage capability and 4 handle roll cage. 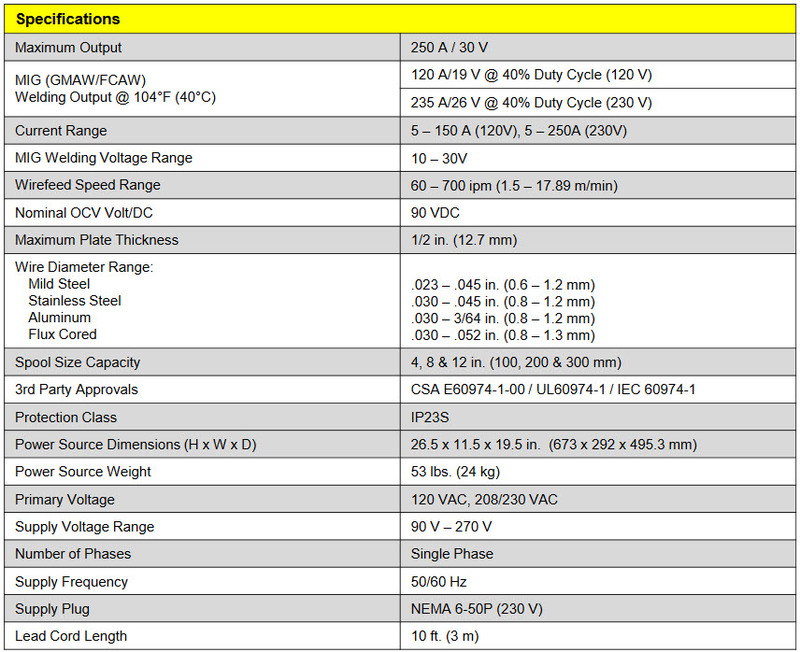 POWER TO PERFORM � have the confidence with Rebel 235ic to run the full range of .035 in. (0.9 mm) wire � short arc and spray transfer. Also up to .045 in. (1.2 mm) solid wire and up to .052 in. (1.4 mm) cored wire. PLUS get a $50 Burn And Earn™ Visa® Gift Card from ESAB® when you purchase a Rebel™ EM 235ic MIG welder. Download Burn And Earn™ Rebate Submission Instructions HERE. All rebate forms MUST be submitted electronically to ESAB no later than July 15, 2019. Offer expires 6/30/19. Genuine Tweco® Spray Master® 250 MIG gun direct replacement gun for ESAB® Rebel™ 235ic welder. Can this welder be loaded with small, 2 lb. 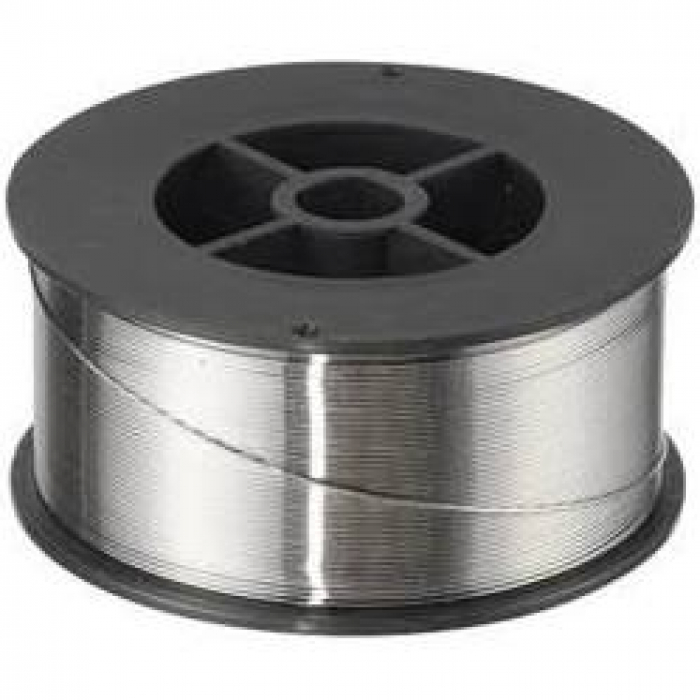 rolls of flux core wire for outdoor projects? ESAB Rebel EM 235ic MIG Welder 0558012700 will accept a 2# spool of wire. Is this machine only capable of Mig? Or is it just sold as a mig only unit due to the lack of tig & stick accessories that are included with the multi process units?? I am assembling my Esab 235ic. I can not find an Esab equipment cover for it anywhere. Surely Esab makes a cover to protect the unit from dust and scratches when not in use. 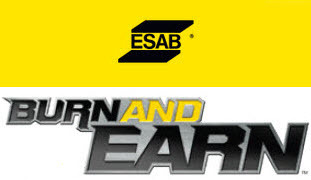 Esab advises they do not currently manufacture a cover for the ESAB Rebel EM 235ic MIG Welder 0558012700. Is the tweco 180 mig gun from the rebel 215 compatable with the em235? Tweco advises the the Tweco Fusion 180 MIG Gun 1017-1332 will work with the Rebel 235, just keep in mind that the Fusion 180 is only rated for 180 amps at a 40% duty cycle. Can you tig aluminum with this welder? The ESAB Rebel EM 235ic MIG Welder 0558012700 is a MIG welder only. This is a great value for the money, I am a retired welder using this for a side business. It runs smooth and has plenty of power for the heavier welding jobs. Buy it you won't regret it. Great welder for the price, welds just as good as my emt 304 with a 22a wire feeder. I do wish the run in was adjustable, it's preset at about 3 sec. Shipping was fast. Autoset... SMIG works as it should. One downfall, at no fault of Cyberweld, is the dissicant inside of the packaging was broke open. This caused the little bb's to get everywhere, I had to open both sides of the welder and shake and vacuum them out. Dissicant even got inside of the gas connections on the welder because they are not plugged off from the factory, had to pull off the hose from the gas solenoid and blow out. Nice welds on 1/4 steel even running on 120v easy to use just set metal thickness and wire diameter depending on the application manual mode works better but if you are beginner welder auto mode will make you look like you kinda know what you are doing instead of like a fool. it's nice being able to run off 120 or 230 gives better range around the shop if you're not welding thick metal and don't have a 230 outlet and long extension cord. Welds as well as Miller 251 252 in my opinion and more versatile with multiple power input. 230 is best for all around use of machine but 120 is good for small projects.